Home / ENGLISH / செய்திகள் / Mahapola Higher Education Trust Fund Act to be amended..! Mahapola Higher Education Trust Fund Act to be amended..! The Government is to bring in a new Amendment to the Mahapola Higher Education Trust Fund Act to declare all its funds as ‘public property’ and thereby imposing heavy punishments for any financial irregularities, fraud or corruption related to the Fund. The Government has also decided to remove the Mahapola Scholarship Trust Fund from the National Wealth Corporation Limited and NatWealth Securities Limited that managed the investments of the Fund in light of a series of financial irregularities. 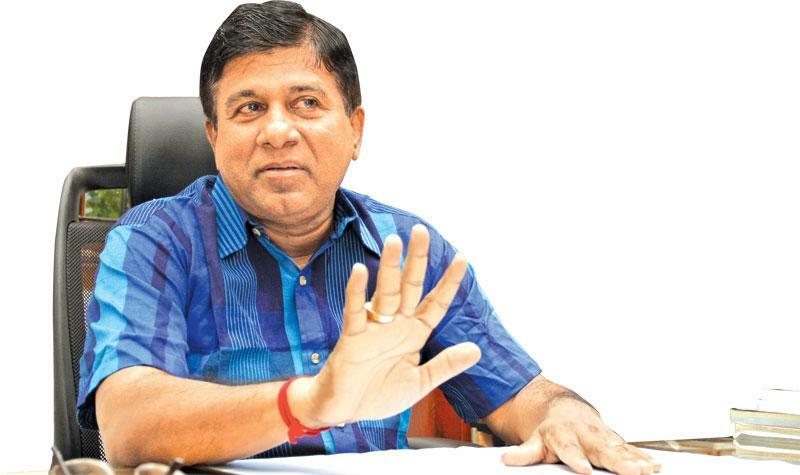 Higher Education and Cultural Affairs Minister Dr.Wijeyadasa Rajapakshe said that the Mahapola Trust Fund has incurred a loss of Rs.2.5 billion from the incorporation of these companies in 2003 to December 31, 2017. He further said the Mahapola Act would be amended to remove it from the Trade Affairs Ministry and include as a subject coming under the Higher Education Ministry. He said this was approved by Cabinet. He said the same amendment would revise the Fund’s name as ‘Lalith Athulathmudali Scholarship Trust Fund’. “We hope the name change will remind our university students who are benefitting from Mahapola that it was the brainchild of late Athulathmudali,” he added. He said the Mahapola funds would hereafter be directly invested only in the State Banks. He said the decision to remove the Fund from the two companies was unanimously approved by Cabinet. He however assured that outsiders who have invested their money in NatWealth Securities Limited would not be affected by this move, adding that their due sums would be returned gradually. “These two companies had been heavily politicised and mismanaged and that was a reason for the loss. In 2011, the son of then Co-operative and Internal Trade Minister Johnston Fernando was the Chairman of both these companies. He bought two BMW cars for his private use from the money in the Mahapola Trust Fund,” the Minister charged. “Dr.Wickrema Weerasooria had been a Director of the National Wealth Corporation Limited, while he was a member of the Mahapola Trust Fund. He had invested Mahapola money in a company where his son was a Director,” he accused. The minister said Cabinet approval has been obtained to seek the Attorney General’s advice on taking legal action against the persons responsible for the misuse of the Mahapola Trust Fund. He pointed out that the Mahapola Fund is exempted from all the taxes as per the Act, but since its investments were made through two companies the Inland Revenue Department has asked to pay Rs.478 million as taxes. “This was an additional expense that could have been avoided had the money was directed invested,” the minister added. Mahapola Trust Fund Director Parakrama Bandara said the Fund currently has a total of Rs 10 billion and that it earns an annual income of Rs 2 billion though investments and profits from the Development Lotteries Board. Out of the 91,000 students in state universities, about 60,000 students are receiving the Mahapola scholarship. Each year it gives 15,000 scholarships to university students.